Seriously. LOVE IT. So much so, that my 4 year old is a master at it. We recently received two games from Pressman Toys. Air Hockey & Fishing Game are great family fun!! Experience the fast-paced thrills of Air Hockey. For the first time, players can hit the animated hockey puck with the iPieces hockey strikers. Players can represent a country of their choice to compete in a varietyof fun and exciting tournaments when they download the Air Hockey App. Experience the challenge of catching a fish with your rod. The Fishing Game comes alive as you try and catch as many fish as you can before they are all in the buckets. To catch a fish, you need to use your iPieces fishing rod to catch a fish when it opens its mouth, and then drag it into your bucket. But watch out – there’s a hungry heron flying above that will try and sneak a fish from your bucket. 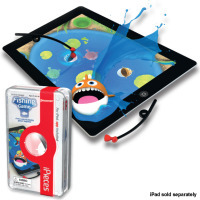 The Fishing Game provides hours of fun for little ones. What does your family like to play on iPads? This is a lifesaver! How many times have you tried to clean up legos or small cars when you're out? This makes clean up a snap! So easy, your child can do it (bonus!). 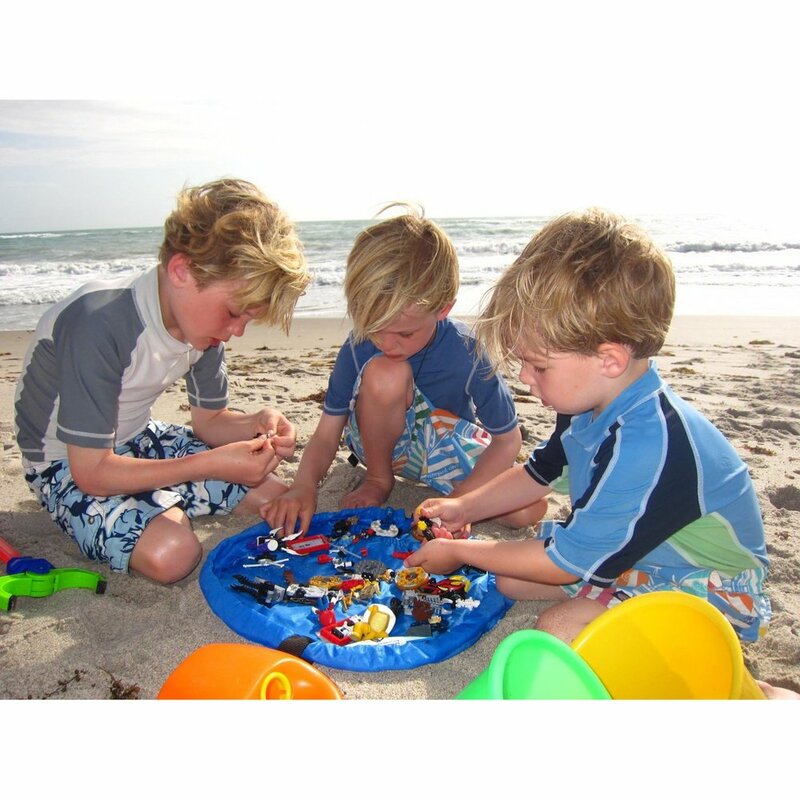 Lay-N-Go Lite is an 18-inch travel/personal activity mat hat converts into an easily transportable satchel allowing for a quick and effortless clean-up of small toy pieces in seconds. Toy collections used on the Lay-n-Go surface are easily spread out for hours of fun at restaurants, on airplanes, in cars, at Grandma's house, etc. Once playtime is over, the drawstring is pulled and the activity mat is instanly converted back into a soft storage bag. Lay-n-Go LITE is small, but like its big brother/sister, it is a smart and easy personal activity mat, cleanup, storage and handy little carryall solution in one. 100% nylon fabric provides a tough and water repellent wipeable surface. Durable nylon cord and cord lock provide an easy opening and closing system which keeps small toys securely inside. Nylon handle adds both comfort and convenience for carrying. A velcroed front storage pocket provides a place to stow the drawstring when closing or carrying the bag. Cheeky Charlie will be your child's new travel buddy! No more floppy head when the fall asleep on car rides. That never looks comfortable! This adorable Keep Me Comfy Neckrest is soft and comfortable…perfect for traveling! Children can keep comfy in the car, on the bus or train, and on plane trips with this plush neck pillow. Aurora is internationally known for quality and design. Available in multiple styles. Each pillow comes with a clip for hanging on a belt loop or backpack.